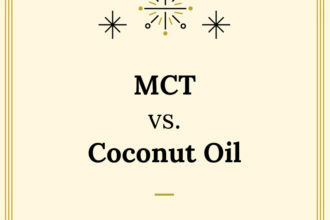 Q: Why use MCT instead of Coconut Oil, doesn’t MCT come from coconut oil? Until recently, I had not heard of EMCT (Emulsified MCT Oil) as a product for purchase. I always emulsify my own MCT by using an immersion blender and mixing 1 Tbs. MCT in my coffee.